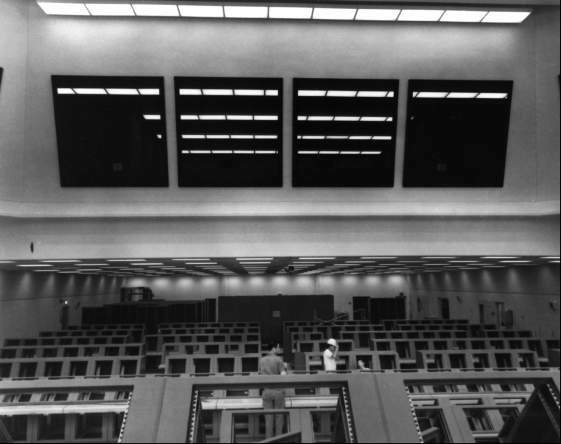 Firing room 1 under construction, August 1965. The VIP viewing area is under the glass wall, left. The windows on the extreme left looked towards the pads. The triangular extension into the room above the VIP area was intended for the most distinguished guests. 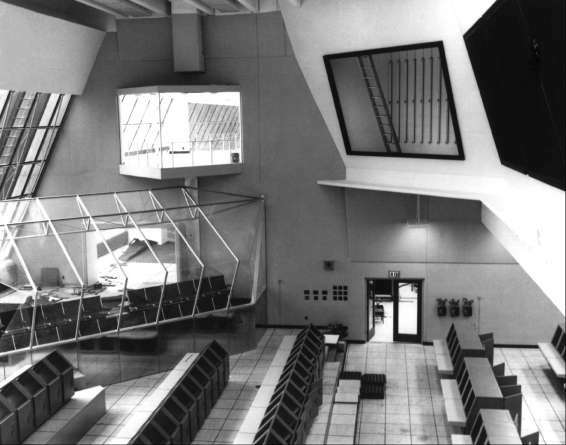 Firing room 1 ready for equipping, November 1965. The four large overhead screens, here reflecting ceiling lights, would display major milestones in the countdown. 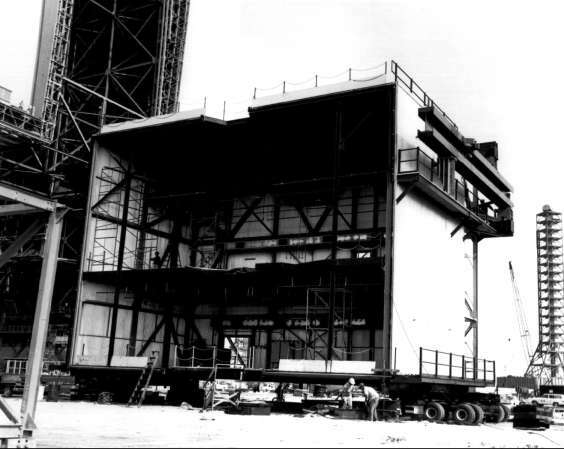 An extensible work platform being prepared for installation in the assembly building, August 1965. 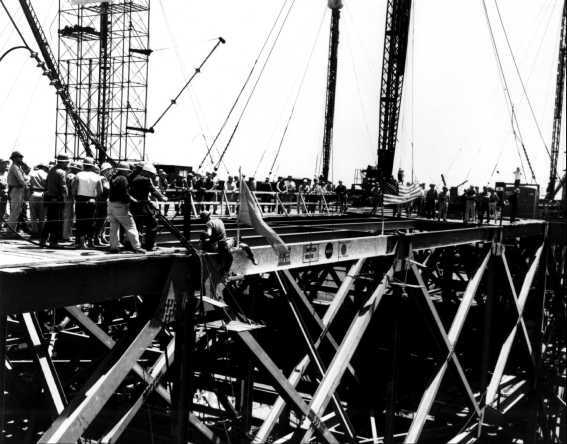 The topping-out ceremony with the signed beam, April 1965.